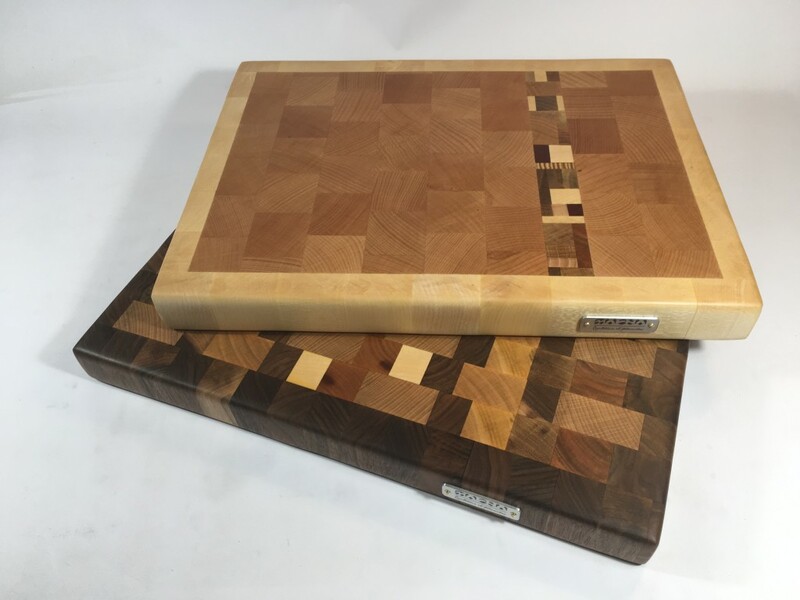 Ce duo de planches à découper en bois de bout a été réalisé par assemblage de cubes de différentes essences. Cette planche sera parfaite en cuisine pour découper vos viandes et légumes. Mais aussi à table, à l’heure du plateau de charcuterie ou de fromages. 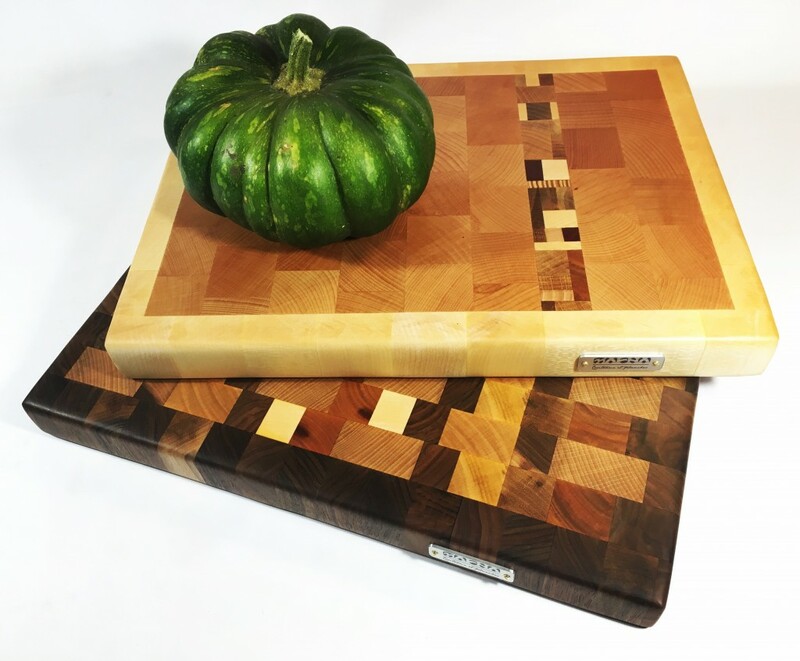 This pair of wooden cutting boards was made by assembling cubes of different species. 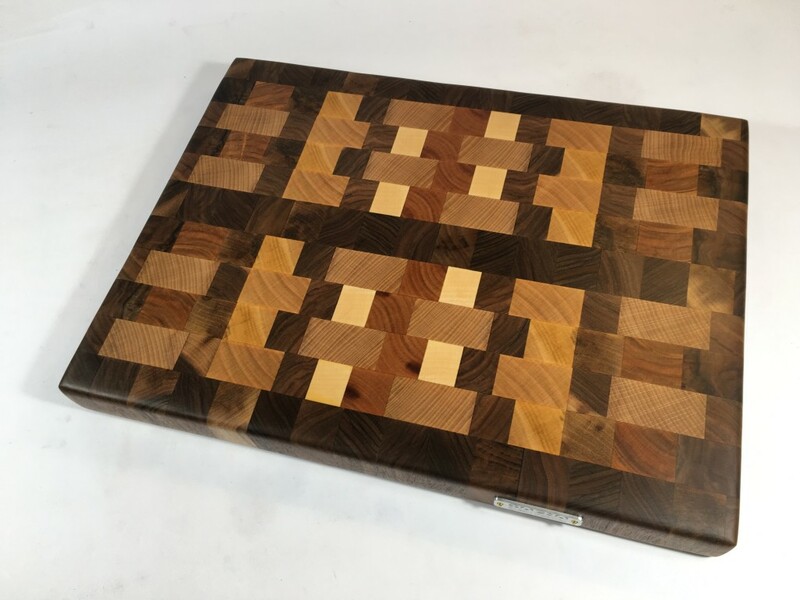 This board will be perfect in the kitchen to cut your meat and vegetables, but also at the table at the time of the platter of cold meats or cheeses. 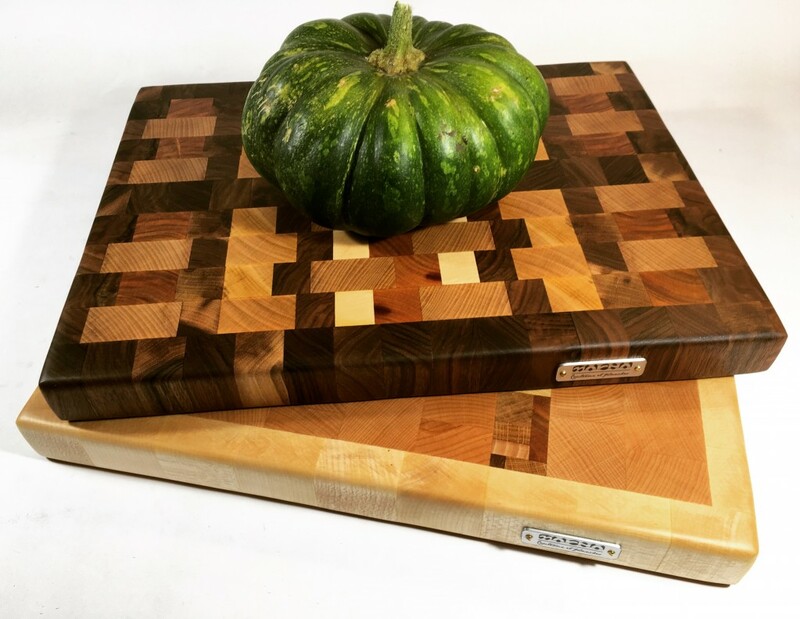 In order to better preserve your wooden kitchen board, remember to reserve one side for the cut and another for the presentation. Side finish, the tray was polished and received several layers of an oil, it also able to contact food. This oil is all natural and contains no added siccatives. For effective maintenance, simply wash with soapy water, rinse and dry immediately with a cloth. Be careful, do not soak the board in water and especially do not put in the dishwasher! 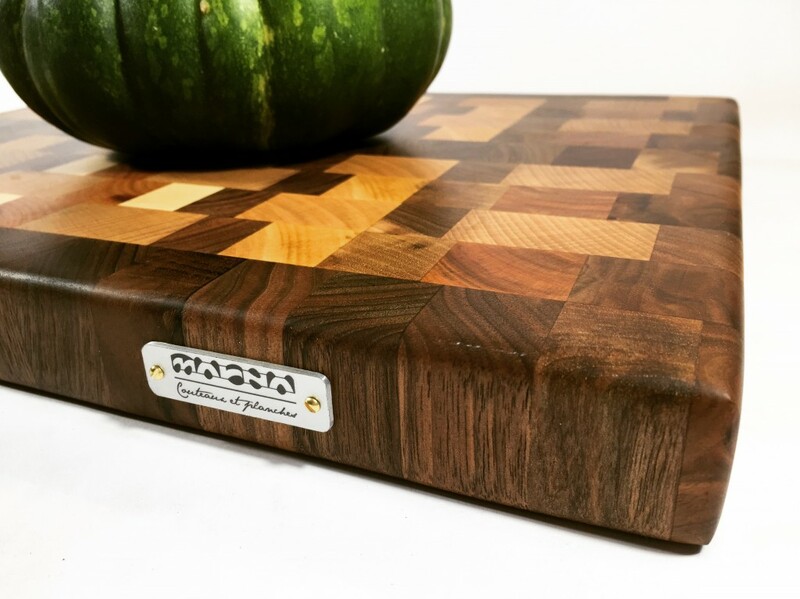 Wood is a living material, with the time it is normal for the board to evolve. With the variations of humidity during the seasons, the impacts of knives and daily use, your board will skate and small cracks may appear. Nothing serious for the strength of the board and these asperities will give it even more cachet. 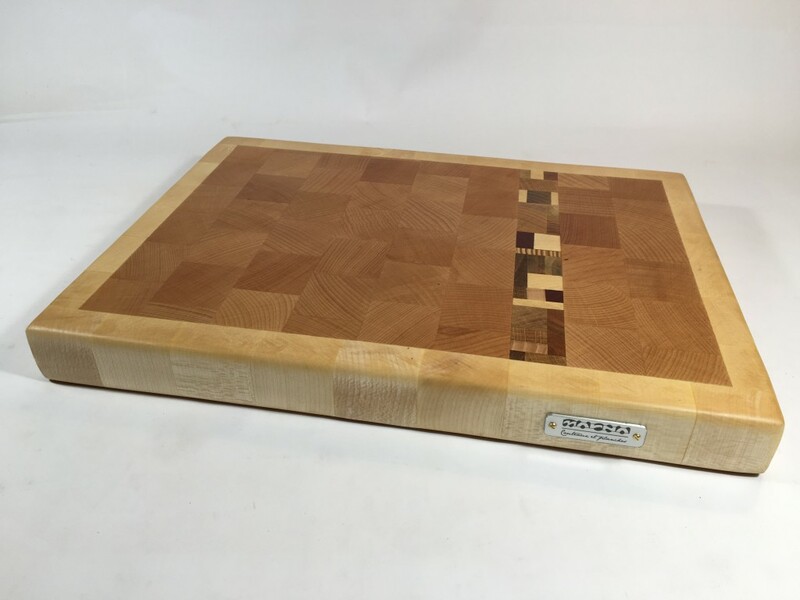 Periodically, when you feel some dryness on the surface of the wood, you can lightly sand the board with a very fine sandpaper and coat the piece with edible mineral oil or a mixture of oil and wax created for this purpose . Also, olive oil can also be used but it tends to rancid slightly over time. If you do not feel like giving a second youth to your board, Marna will be happy to do it for you!